Germany has introduced in January 2011 an aviation tax (luftverkehrsabgabe). The effects of the tax are as expected : small and medium sized airports which are dependent on low cost carriers have suffered a loss of passengers. The larger airports have grown. For the country as a whole the growth in passenger numbers is 5%. This is comparable with other large European aviation nations. So, what’s the problem ? And what can be expected from the EU-ETS ? First we give some more detailed figures about gains and losses by type of airport. We compare the results with the developments on taxation in other countries. We end with the developments around the European ETS and the opposition of non-European countries. Will there be a global carbon tax for the aviation (and maritime) sector ? The German government introduced the ticket tax in January 2011. The tax is 8 Euro for European flights, 25 for mid-range flights and 45 Euro for long haul flights. No taxes on Freight or Transfers. Low cost carrier Ryanair reacted by publishing a list of routes and flights to be scrapped from airports Hahn, Berlin, Weeze and Bremen. Indeed routes and flights were scrapped, but some were restored later on. If we look at the realizations of 2011 we can observe that the real effects were less than half of what Ryanair predicted (or threatened with). However, for Hahn and Weeze the effects were very substantial : 18% and 16% loss of passengers. This finding is in line with the effects of the (now abolished) Dutch ticket tax where low cost airports near the border with other countries appeared to be the most vulnerable. The largest German airports (Frankfurt, München, Dusseldorf, Berlin-Tegel and Hamburg) had on average a growth of 8%. The smallest airports experienced a loss of 6% and the middle airports remained stable. The overall growth was 5%. Table 2 Passenger growth at German airports in 2011. Compared to other large European aviation countries (France +6,6%, Italy +6,4%,Spain +6,0 %, UK +4,1%) Germany has had a little smaller growth except for the UK. The latter experienced a substantial growth in taxation by the APD (Airport Duty Tax). The income for the German government was expected to be 1 billion Euro. The actual income was 905 million Euro#. The difference can be attributed to the avoidance behavior of travelers# and airlines (Ryanair and Germanwings). Weeze reported# a drop in the share of Dutch travelers from 52% to 40%. Conclusion : The ticket tax leads to a drop in demand in the lowest segment of aviation. The effects are especially noticeable at smaller regional airports served by low-cost carriers. From the start of 2012, emissions from all domestic and international flights that arrive at or depart from an EU airport will be covered by the EU Emissions Trading System. This was heavily opposed by non-European airlines and states. But the European Court of Justice ruled that EU-ETS “infringes neither the principle of territoriality nor the sovereignty of third states, since the scheme is applicable to the operators only when their aircraft are physically in the territory of one of the member states of the EU”. But important countries like the US, China, India, Japan and Russia want a world-wide system negotiated in ICAO. In total 26 countries form a ‘coalition of the unwilling’ to prevent the inclusion of non-European airlines. They prepare retaliatory measures. Meanwhile the German government has lowered the luftverkehrsabgabe (-5.5%) with the expected costs of the ETS for the airlines and their customers. This in contrast with the UK government which does not compensate for the ETS but, on the contrary, continues to raise the tax, as indicated in the table below. According to the UK Office of National Statistics the APD-Receipts in 2011 were 2580 million pounds against 2050 mln in 2010 (+26%). It is uncertain how the struggle around the aviation-ETS will end. But, as we observed in Aerlines 48, there is a strong, permanent pressure from environmental and fiscal considerations to also subject the aviation sector to ‘normal’ taxes. This concerns VAT, which is not levied on international tickets and excise duty on aviation fuel. The European Finance ministers eye for transport levies on aviation and maritime transport to feed a climate fund. One might expect that there will be some international accepted taxation system. The German Aviation Tax, will it last ? 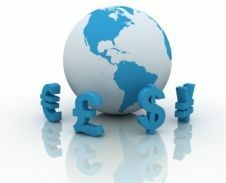 Germany is introducing in January 2011 an aviation tax (luftverkehrsabgabe). Germany is not the first nor will it probably be the last to introduce a Ticket Tax. Other countries abolished it recently. What are the chances for the German Ticket Tax ? First we walk along a number of countries with aviation tax experience. Then I come back with my expectation about the Luftverkehrsabgabe. The UK introduced an APD (Air Passenger Duty Tax) back in 1994. The tax was gradually raised and differentiated towards distance. At this moment the tax is 11 Pounds for a short haul flight (< 2000 miles) and 55 Pounds for a long haul flight (>6000 miles). From November 2010 the rates will be lifted to 12 – 85 Pounds. Non-economy tickets pay the double. France also has such a tax since July 2006, it is only 1 Euro inside Europe and 4 Euro outside the EU. The rate for non-economy is tenfold. The destination of the money is determined by law; the millennium target for poor countries (UNITAID). In France there is no opposition to the Taxe de Solidarité sur les billets d’avion worth mentioning. Malta too introduced a Departure Tax of 23 Euro. One that did not apply to its own citizens. This was in contravention to EU rules however, so it was changed to 12 Euro for every outbound passenger. The Ticket Tax was cut in 2008. The Danish had a ticket tax that was quickly withdrawn due to the adverse effects on the economy and the tourism sector in particular. The tax was repealed in 2007, mainly due to the syphoning of passengers to the Swedish airports Malmo and Goteborg. Curiously enough, the Swedish government attempted to get a Departure Tax through parliament in that same period (2006). The procedures followed the usual pattern: Ryanair threatens to leave, the tourism sector complains, the unions are against the proposal and a strike of the personnel on Goteborg and Malmo-airport looms. This puts the socialist Swedish government under heavy pressure. The socialists lose their majority at the elections and the new government shelves the Ticket Tax. The Dutch government introduced a ticket tax in July 2008. It was sold as an eco-plan. Dutch air travelers made a much wider use of German and Belgian airports. The financial crisis deteriorated the economy, the tourist sector suffered. As part of a economic recovery plan the tax was abolished exactly one year after the introduction. After the Dutch, the deficit-burdened Belgian government came in October 2008 with proposals for a Ticket Tax. The plans were heavily attacked. The Ticket Tax never made it to parliament. Ireland followed in 2009 with a tax of 2 Euro for Intra-Ireland Flights and 10 Euro for European Flights. Ryanair withdrew airplanes from Irish Airports. The German government introduces a major overhaul of national finances in May 2010. A part of this Sparpaket is a ticket tax. It is also being sold as an eco-surcharge. After some initial skirmishes the proposal is 8 Euro for European flights, 25 for mid-range flight and 45 for the long haul. No taxes on Freight or Transfers. The EU ponders levying taxes directly. Taxes on aviation, financial transactions and CO2 emission permits are all possibilities. The European Union has introduced legislation to include aviation in the EU emission trading scheme (Directive 2008/101/EC about EU ETS). From 2012/2013 airlines should pay for their CO2-emissions. This short summary of the Ticket Tax in various European countries shows that there is a strong, permanent pressure from environmental and fiscal considerations to also subject the aviation sector to ‘normal’ taxes. This concerns VAT, which is not levied on tickets (this has been introduced on domestic flights in most countries). Furthermore there is the lack of excise duty on aviation fuel, which has been pushed to high levels for the most important mode of transport (car) and is an important source of state revenue. The countries that have successfully introduced a lasting Ticket Tax are the UK, who have cautiously increased the tax-rate and who do not have to fear passengers voting with their feet by using the expensive channel tunnel. Ireland is looking to follow the same path, despite the severe consequences from Ryanair. France keeps their rates low, has a politically popular destination for the money set by law and their major airports have no significant competing alternative airports within a 2 hour radius. Additionally, at present the constant (fear of) passengers walking away to foreign airports has forced governments of adjacent countries to either cancel plans for a Ticket Tax or to repeal shortly after introduction. This brief history shows that the continental European countries that have attempted a Ticket Tax would have had more success if they had done so together. One wonders why there was no political coordination between the countries. And the German Luftverkehrsabgabe, will it last ? To my personal opinion there will be adverse effects for German aviation but it will bridge the time-gap to the ETS. While China is gradually growing into one of the world’s economic superpowers, it faces issues in political, economic and social reform as well as challenges domestically and internationally. 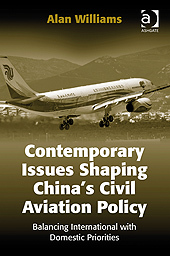 This book gives an overview of China’s political, market and national administrative reforms, organizational problems, and competitive market uncertainties with a focus on the development of China’s civil aviation industry. With its landmark ruling of December 17th, 2008, the European Union’s Court of First Instance (CFI) unexpectedly declared the European Commission’s famous Charleroi decision of early 2004 nil and void. On February 19th, 2009, the Commission decided not to appeal. The nullification of the Commission’s Charleroi decision by the CFI on purely formal grounds is just the culmination in a long-standing series of legal fights between traditional airlines and their low-cost competitors over (allegedly) unfair competition through (alleged) state aids. However, it has opened a rare window of opportunity for embarking on a much-needed, more economic approach in the EU’s state aids control procedures. In this paper, we will apply the theory of two-sided markets – so-called platforms – to this famous case as we deem it particularly fit to advance the economic analysis of the complex commercial relationships between airports and airlines.